What is Soft Wi-Fi in 3G Data Card or USB Internet Dongle? Home » Hardware • Internet » What is Soft Wi-Fi in 3G Data Card or USB Internet Dongle? Soft Wi-Fi is a term that is generally associated with 3G Data Cards or USB Internet USB Dongles. You must have seen the term Soft Wi-Fi specified in the features of some 3G Internet USB Dongles. Many users get confused when they see Soft Wi-Fi specified on some 3G USB dongles and they think that the 3G dongle has inbuilt Wi-Fi functionality but in reality it is not so. There is a considerable amount of difference between Soft Wi-Fi and Hard Wi-Fi which I am going to explain in this post. 1 What is Soft Wi-Fi ? What is Soft Wi-Fi ? Soft Wi-Fi means that your 3G Data Card or Dongle do not have inbuilt Wi-Fi functionality but you can use it with your Laptop’s Wi-Fi to turn your Laptop into a Wi-Fi Hotspot using a software and share internet among other Wi-Fi devices. The 3G USB dongle will fetch you Internet and you can share this internet though your laptop’s Wi-Fi card and turn it into a Wi-Fi Hotspot. 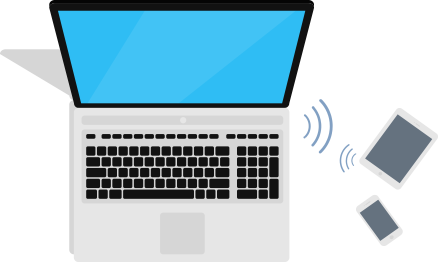 Your 3G dongle may or may not have inbuilt Wi-Fi Hotspot software which can be used to create a Wi-Fi hotspot using your laptop or PC (with Wi-Fi card). So in Soft Wi-Fi your 3G Data card has no real Wi-Fi but it can be used in conjunction with your laptop for creating Wi-Fi Hotspot feature for sharing Internet. You can create Soft Wi-Fi with almost any 3G Internet Dongle. The term Soft Wi-Fi was first introduced by Huawei and their official website states that “The Soft Wi-Fi is a software solution for Windows laptops to share the internet connection with up to five devices via Wi-Fi. This software solution utilizes the laptop’s Wi-Fi hardware to create a Wi-Fi hotspot and share the internet.” Some Soft Wi-Fi 3G Dongles from Huawei are Huawei Laptopi-Fi E303FH/I, Huawei Laptopi-Fi E3531/I. Huawei 3G Dongles with Inbuilt Wi-Fi Hardware are Huawei Power-Fi E8221 and Huawei Power-Fi E8231. On the other hand if it is specified that your 3G dongle has inbuilt Wi-Fi functionality or has Wi-Fi then there is no need for you to connect the dongle to the laptop for creating a Wi-Fi hotspot for sharing Internet. You just have to insert the 3G dongle in a USB power source or adapter and then you can easily connect your Wi-Fi devices to it and use the wireless internet. The number of Wi-Fi devices that can be connected depends on the dongle specifications or its hardware limits. If your USB 3G Dongle does not come with inbuilt software for creating Wi-Fi Hotspot then you can use third party softwares for creating Wi-Fi Hotspot. The best one that I recommend is Connectify Hotspot. 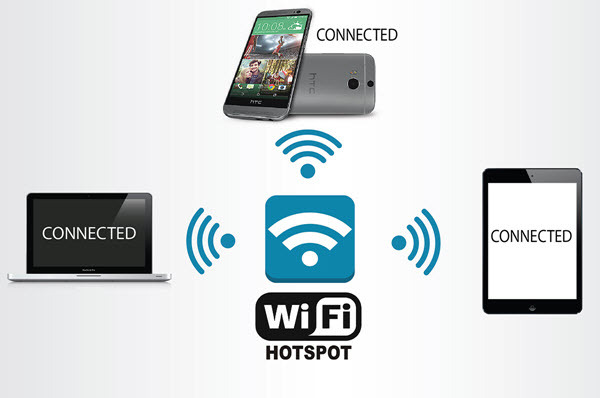 Connectify Hotspot Router is a paid software that runs on Windows XP/7/8 and converts your Laptop or PC (with Wi-Fi card) into Wi-Fi Hotspot for sharing your internet connection through your 3G Data card / dongle or any other internet source (LAN, Modem, USB etc.). It is very easy to use and has got top ratings from big software review and download websites such as softpedia, softonic, cnet, software informer. Some other good Wi-Fi softwares for creating Wi-Fi Hotspot are mentioned below. I have bought a jio sim card but I don’t have any 4g cellphone. I want to buy a 4g data card to connect to my 3g cellphone. I have a price of around 3500 so which one would be best ? I don’t want to buy a jiofi cause it’s a locked version. I don’t even want to buy a lyf cellphone.